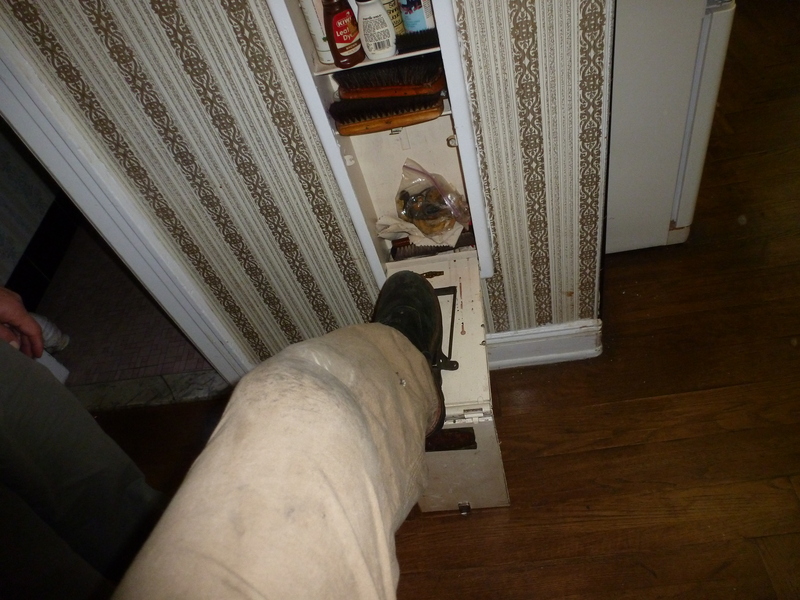 I was doing a full house cleanout in the Bronx last week when I noticed this cabinet with a metal door. I thought to myself, this is awfully low to be an ironing board. 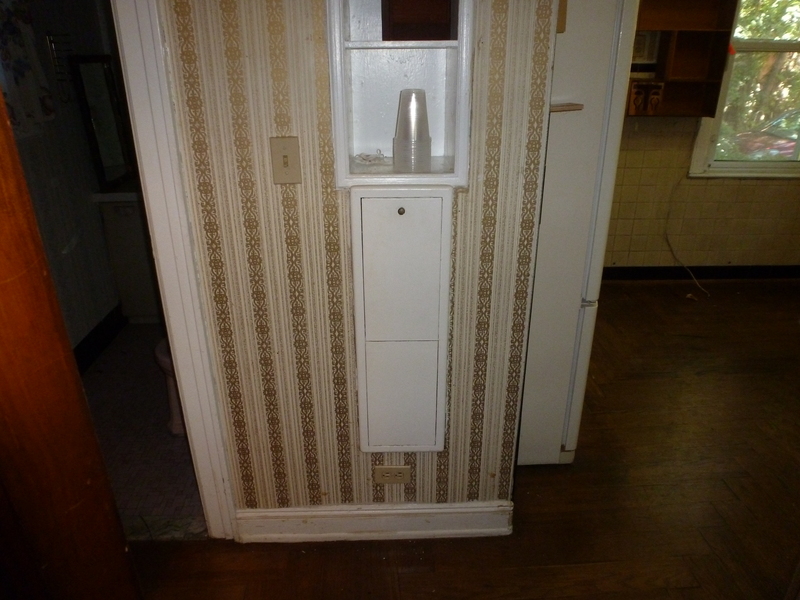 Not to mention, most old homes had ironing board units built directly into the wall so that you could pull them out. 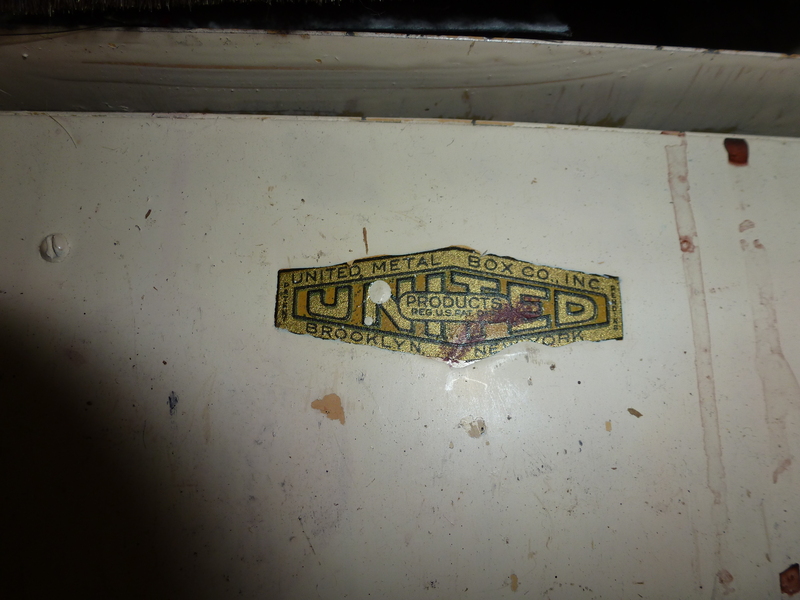 I opened the door, and instead of finding an ironing board, I found a collection of shoeshine supplies from 1923. “Pull the door again,” the homeowner, who was also on the job with us, said. I did, and out came what looked like the pedal to a piano. 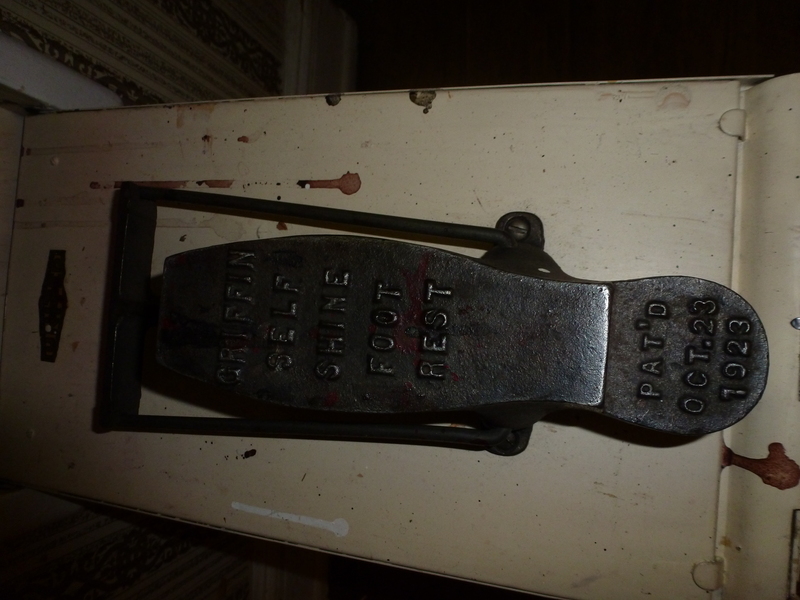 After the pedal unfolded, the owner said it was used as a foot rest so that you could raise your foot to polish your shoes. 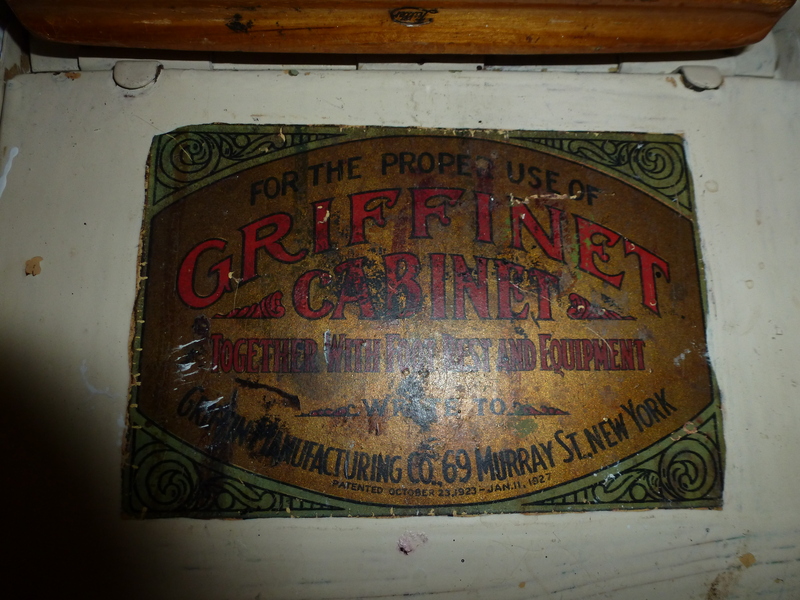 You can see in the photos that the main materials in the collection included the Griffin self foot rest (patented on Oct. 23, 1923), Huberd’s shoe grease, and the Griffin shoeshine cabinet. The homeowner explained that he was leaving the entire shoeshine collection in the home for the new homebuyer, which seems so selfless and cool. 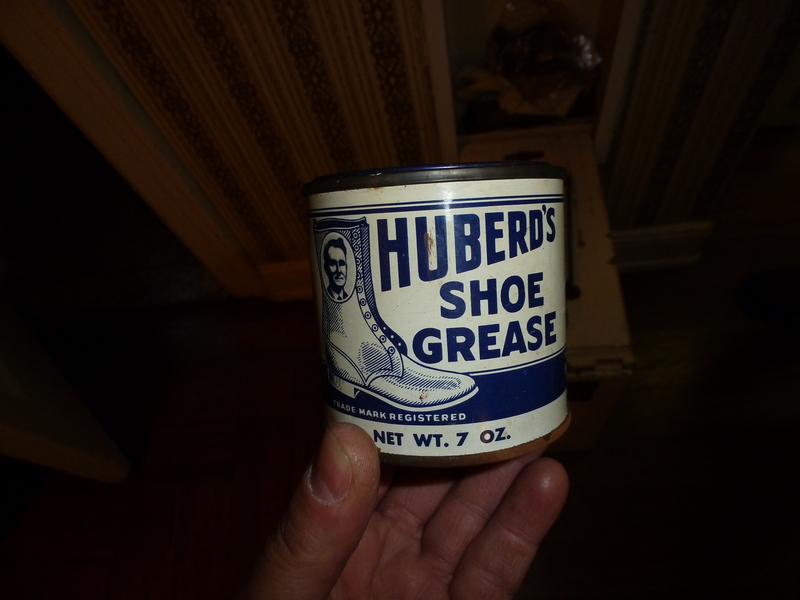 Can you imagine moving into a home to find a shoeshine kit from the 1920s? To learn more about DiMola Bros and the services it offers, visit dimolabros.com or call 718-326-6969. ~ by DiMolaBros1956 on October 11, 2012. I hope the new tenants will enjoy “Old Stuff” as you do! I never knew that these were built in! We have the exact same item in the bathroom of our 1930’s home!